W3 CAMP- July 18-21,2016. 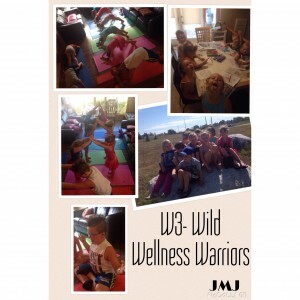 Wild Wellness Warriors! Spend four days with us for a healthy dose of confidence, peace, connection and FUN! -group coaching fun; exploring emotions, accepting self, supporting each other. Using games, role playing, peer support and conversation we will discuss various life themes. This is going to be so incredible! Hope your child/ren can join us! Fee is $280 for the camp. Classes are kept small, so space is limited, and programs typically fill. The Digital Distraction & What to do About it!